Three thoughts running through my mind in my birthday week. Yes, I figure my Mom went through more than a day's worth of work to bring me into this world so we celebrate birthday weeks around here, not days. Officially, my birthday was Tuesday, but I was on the road for work (not my idea of a party.) With that, my three things Thursday post. 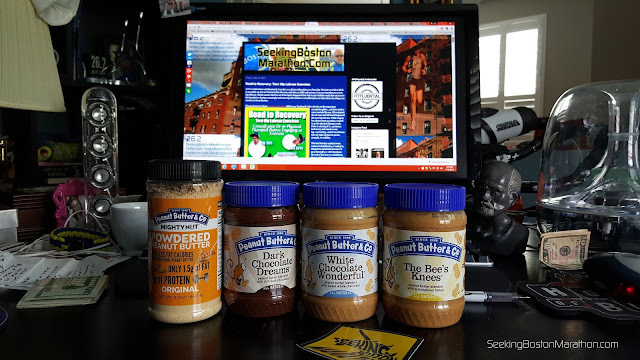 I haven't begun to thank all the sponsors enough that participated in last month's Fitbloggin Conference in Denver, but a special shout-out to the good folks at Peanut Butter & Co in New York. I introduced myself to Adam during a session on nutrition, we exchanged cards and life got busy. Last week he reached out and asked if I would be interested in some samples and I eagerly replied, YES! I have been busy with rehab and work this year, so my product reviews have been minimal. I've had dozens of protein powder companies that want reviews and turned them all down. In this case, I have a teenage triathlete in the house who's a nutrition freak (he actually says no to Doritos) and loves peanut butter as part of his diet. Said another way, I test and review products I'm personally interested in. Thanks to Adam and team for the samples. Only issue I have is how to hide it from my son. This ties into my third topic. This week, Runner's World posted an article on Running as Pain Relief, and I felt they were talking directly to me. As I have chronicled on these virtual pages over the last 12 months, I've had more than my share of pain with accidents and rehab. The article relates to a University of Wisconsin study that concluded exercise released endorphins--one called endocannabinoids which is the brain's version of cannibis. Did I mention I live in the "Mile High City?" I have often gone on a run when I had a some kind of pain going on, and the run magically makes it go away. That does not mean, a run can heal a broken leg. Yesterday, I had a six mile run which was the longest run I've attempted since Boston, and the mental endorphins have been a welcome back to my life. You may have caught, last week I got a soft green light...call it a yellowish green light on running. 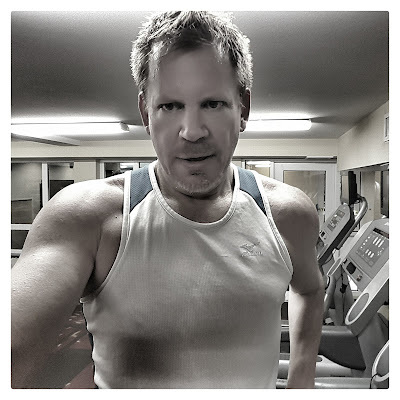 The eight weeks of physical therapy and strength have definitely built up the strength in the area, but it's not 100% nor what I'd call "pain free." You would think I would have yelled from the highest mountain, "I'm running again," but I don't feel I'm "out of the woods" yet. The "elephant in the room" is on multiple levels. I'm a runner and triathlete that hasn't been doing either. I also have one of the world majors I finally got into and July 1st should have been the start to my marathon training plan to be ready to run the New York City Marathon. I also made the local triathlon team with Runner's Roost and have been unable to wear their gear other than my noble attempt at the Boston Marathon. Speaking of the later marathon, there was no "BQ" in Boston this year, nor is there time on the calendar to fit in a qualifier at this stage. This will mean, no "beantown" for Seeking Boston Marathon in 2016. At this point, I'm more interested in simply running, and being able to compete again. If things progress, I'll hold my reservation for the New York City Marathon and I'm also considering a sprint triathlon this month. Stay tuned...just don't get trampled by the elephant.